Yes, we Repair All Microsoft Surface PRO and Microsoft Surface Books! With 10,000+ Surface Pro screen repairs to date you can trust to MrPC to replace your Surface Pro screen without a hitch, while keeping your data safe. MrPC have been offering screen repairs for mobiles, tablets, iPad's and laptop for over 15 years. 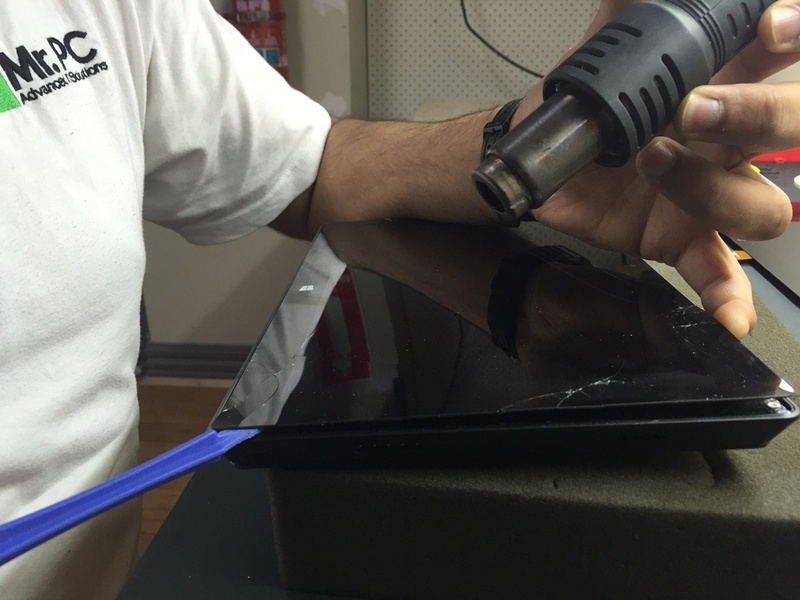 Now we have added Microsoft Surface screen repairs to the list, making it an affordable option to have your surface repaired. 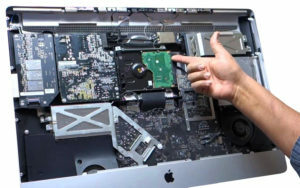 If you are a Melbourne local and looking for computer repairs, you could visit our Fairfield office or give us a call. Prices are based on the USD dollar and can change at anytime, all prices will be confirmed on drop off if any changes to bellow list. Microsoft WONT Repair your surface, you need to book it in over the Microsoft webpage for a repair request. You then have to ship your surface to Microsoft and then they ship to you a refurbished surface. They don't actually repair yours. Microsoft also do not transfer any data so you will lose all your settings and documents, you will need to reload all your programs again. 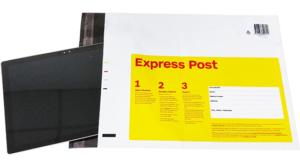 This process takes 2-3 Weeks from shipping off your Surface to Returning a Refurbished unit. Microsoft charge $620.00 for this service. We recommend this service if you surface is badly bent. 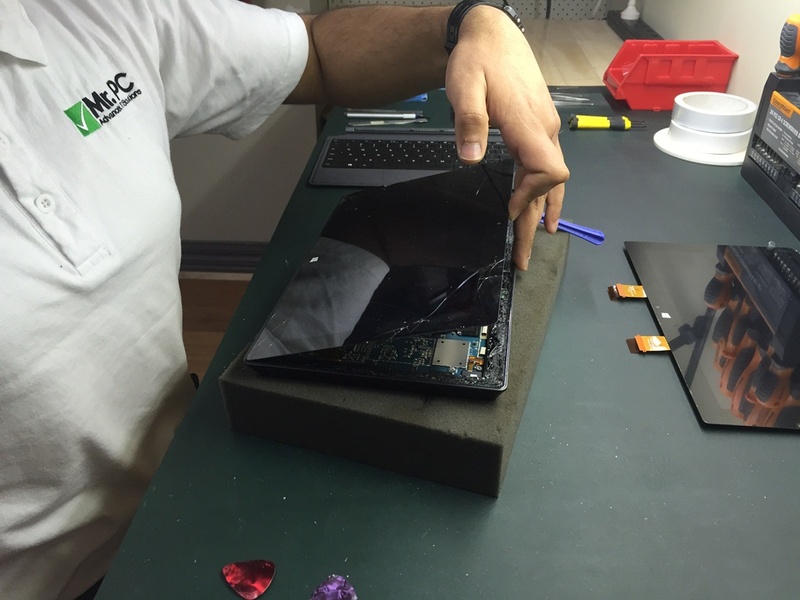 We Fix your tablet! We remove your broken screen and replace it with a genuine replacement LCD and glass unit in one. Turnaround is 1-2 Weeks always depending on stock levels. You will have your Surface back with all your data as it was with no hassle. Since the Surface Pro 3 Pro is a newly released device, most of them will be still under warranty. For any in warranty Surface 3 repairs Contact Microsoft support because getting it fixed by anyone other than Microsoft will void warranty on the device. Fun, fluid, sensitive touch gestures. Has a display size of 10.6 inches and a resolution of 1366x 768 pixels. Has a nifty kickstand and keyboard options too. A lot of reviewers say that the display of the Surface RT is not world class and its operating system is only second rate to the Windows 8 OS. There are Microsoft Surface RT screen repairs anywhere in Melbourne if ever you drop yours. Has a vivid 1920 x 1080 pixel display and has a display size of 10.6 inches. Has an Intel Core i5 processor and has 128 gigabytes internal storage. Known to have high caliber components, the SUrface Pro grants full Windows 8 desktop application support. A lot of reviews say the keyboard is not very user friendly, but you be the judge. 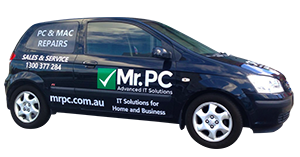 For Microsoft Pro 1 screen repairs in Melbourne, you could try Mr. PC by logging in at https://mrpc.com.au/. Tagged as "the 10-inch, thinner, faster tablet with Office", the Surface 2 is more improved compared to its previous relatives. With a 10.81 inch display area and a resolution of 190 x 1080 pixels, you are sure to enjoy using this baby. You could choose either 32gb or 64gb for your internal storage space and is still expandable up to 64 gb. Microsoft Surface 2 screen repairs are also available because there are a lot of instances of the device being dropped. Has a 10.8 inch screen size with a resolution of 1920 x 1280 pixels. 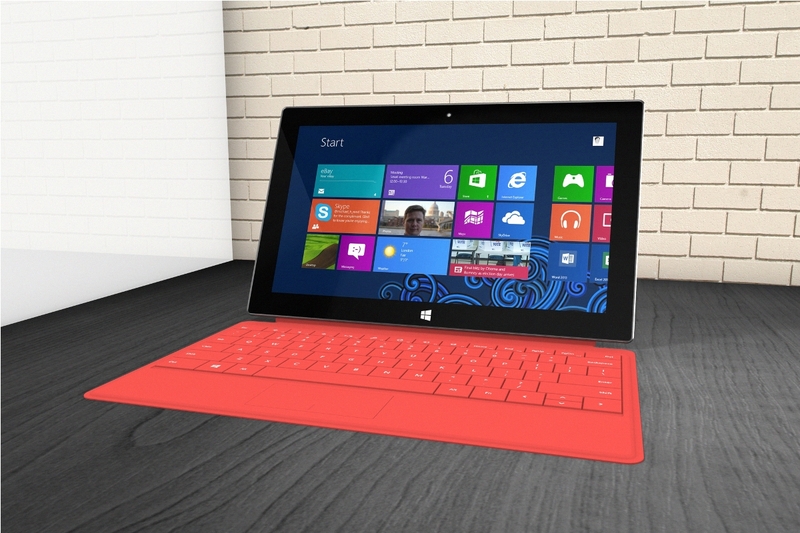 Reviewers have been stating that the Surface 3 "is everything you want in a Windows tablet". Camera is 8 megapixels which makes it average. Also available in either 64GB or 128GB internal storage which can be expanded through a microSD card. The Pro 2 is a dual core tablet PC with a Windows 8.1 Pro operating system. With an 11 Inch High-definition widescreen and a 10-point multitouch screen with ClearType technology, there are a lot of risks for the screen to get cracked. 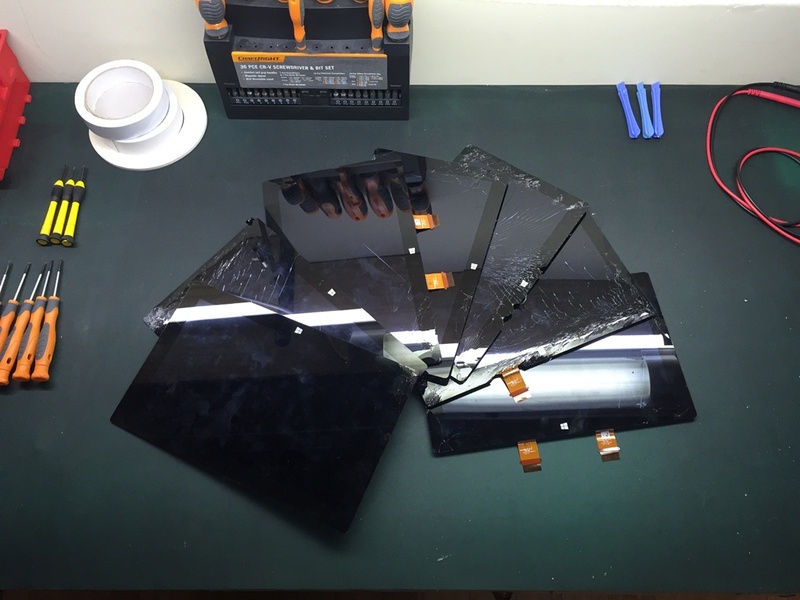 No need to worry because there are a lot of MIcrosoft Surface 2 Pro screen repairs around the Melbourne area. Tagged as "the tablet that can replace your laptop", the Surface Pro 3 is a lot more improved compared to its predecessor. Microsoft has compared this device to Apple's 13- inch MacBook Air and iPad Air. Most people say that the Surface Pro 3 is a lot heavier and thicker than the iPad Air but beats the Macbook Air when it comes to specs. 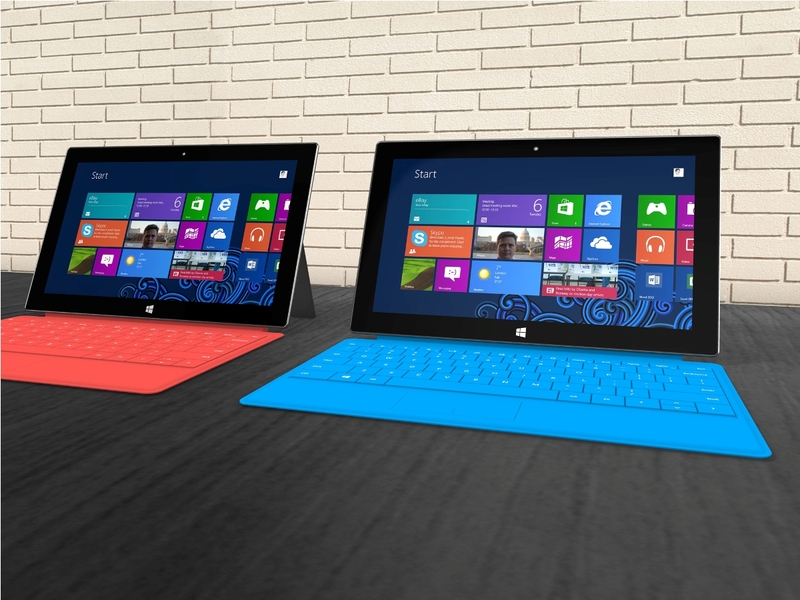 The Surface Pro 3 has a 12 inch, 2160 x 1440 multi-touch screen and has an 8 gb RAM. Even though the Surface Pro 3 is a little bulky, you should still take care of it properly to avoid screen mishaps. The portability of a device does not really guarantee its durability. When it comes to gadgets, the screen is always important. You may not urge a computer to work without its central processing unit running but a computer without a monitor defeats the purpose of seeing what you are processing. Also likeable to a mobile phone with a cracked screen, you may press buttons but you will never know what is entirely going on with your device. It is obligatory that we always take care of the screens of our gadgets. There are actually a lot of ways in doing it. For touch screen devices, you could purchase screen protectors of various protecting degrees at the nearest computer store. For laptop screens, investing in a padded travelling bag is also a must. 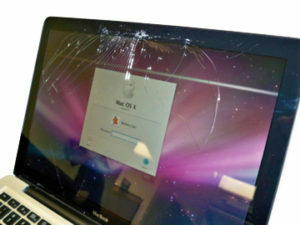 There are also a number of people who opt to invest on a good screen guard for their laptop screens. Since we are actually talking about the Microsoft Surface series here, you might as well invest on a good tablet screen guard if you ever own a tablet. 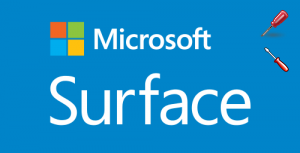 A Microsoft Surface screen repair will be applicable to Surface devices that are either cracked or has dents. 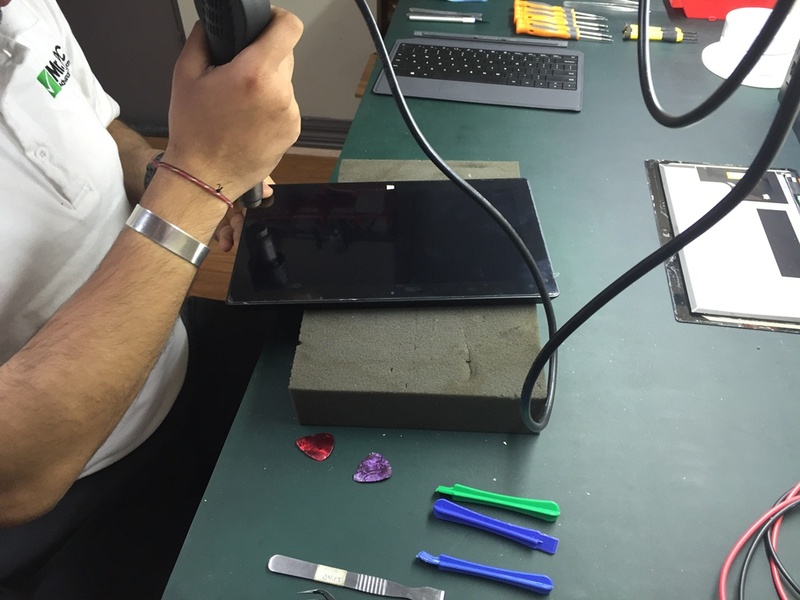 Repairing the screen of your Surface tablet could take several minutes depending on the degree of the damage. Aside from getting your Surface tablet get fixed at computer repair shops, you could also take advantage if it is still under warranty and process a repair via MIcrosoft. If the problem with your Surface can’t be resolved through troubleshooting, send it in for service. Depending on your warranty eligibility, there may be a charge to service your product. After opening your service request, Microsoft will be sending you email instructions on how to ship your device. Before you ship your device out, Microsoft is advising file back up and removing all the accessories like any Surface cover, USB devices, memory card, power supply, audio cables, video cables, Surface pens, and your SIM card. You could also opt to sync your settings with OneDrive. You can copy or move files from your Surface to OneDrive from either the OneDrive app or from File Explorer. If you share your Surface with other people who have accounts on your Surface, everyone who has an account will need to sign in and copy or move their files to their own OneDrive. When you get your Surface serviced, everything on it will be erased and Microsoft is not responsible for any loss of data. If you are sure that you have backed up all the important files, you could actually manually erase everything before you ship out your Surface device. Microsoft’s Surface tablets are more than just tablets because they become your portable answer to office work and a lot more. Use them properly because they could virtually accomplish a lot of things in a short period of time. The ever evolving world of technology could both be advantageous or disadvantageous. Even so, using the right technology for the right things is still the best thing to do. Always make sure to have a constant “raincheck” if ever you think that you are overdoing technology.